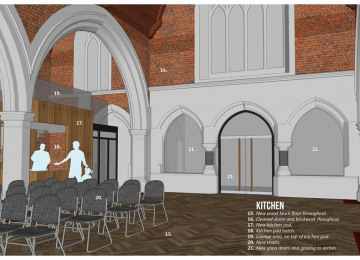 Living Space wants to renovate and enhance St Dionis, the church on Parsons Green, to create more accessible community space within. We would like support specifically around the new kitchen pod. This project was funded on 10 Jul 2018! There is currently no community centre in or around Parsons Green. The Living Space project intends to fix this. 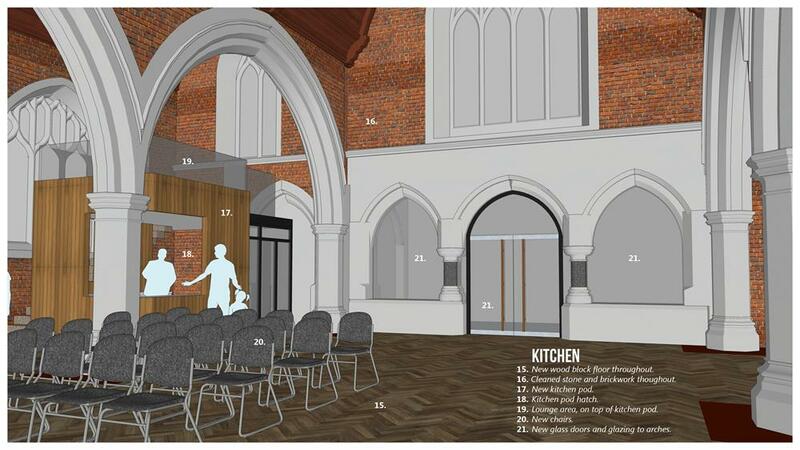 We will create more space within St Dionis (the church on Parsons Green) to be able to welcome more members of the local community. The improved facilities will help local associations and residents, and improve the life of those on Parsons Green and the surrounding area. We know there’s a clear need for it. 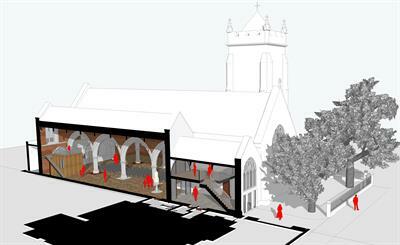 The project is led by the church with the help of a group of local businesses, schools and residents. 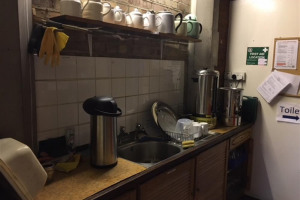 Some of the work has already been completed and our next phase will see improved facilities including a kitchen, beautiful new meeting spaces, plus a new entrance which faces the Green and tells everyone that we are open! 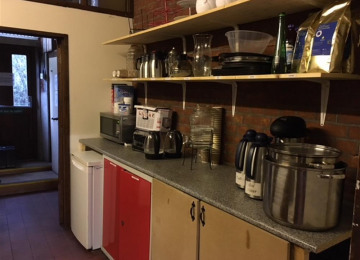 Our aim is to create more accessible space so people can meet each other, learn, teach; develop new skills We are specifically asking for help with a new kitchen pod, as we know it will change the functionality of the space. As there is no community centre less than one mile away, it is difficult for local people to find a place to meet, teach, start their business, pray or even have a hot meal. 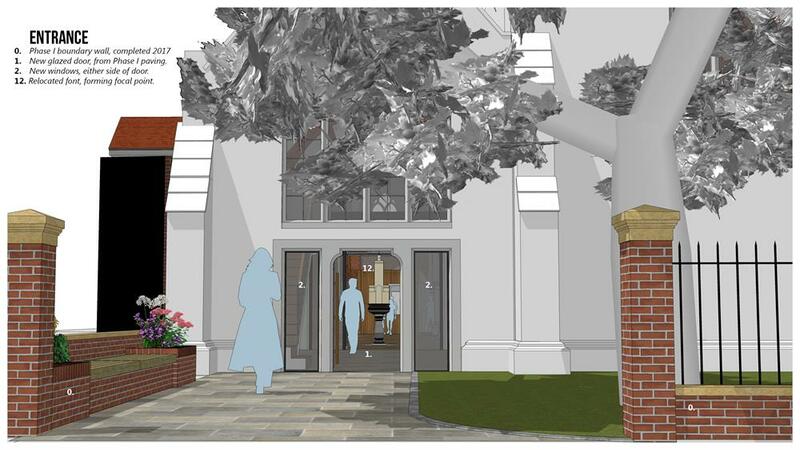 We want to create a new "Living Space" within Parsons Green for the community to use. 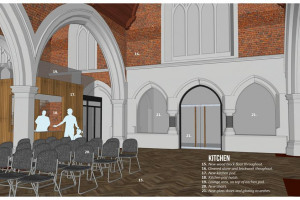 By renovating and enhancing St Dionis church,we will be able to create a new entrance, add new accessible facilities, new meeting rooms, a mezzanine and a new fully functioning kitchen. Creating an accessible kitchen is a key element of the renovation project. 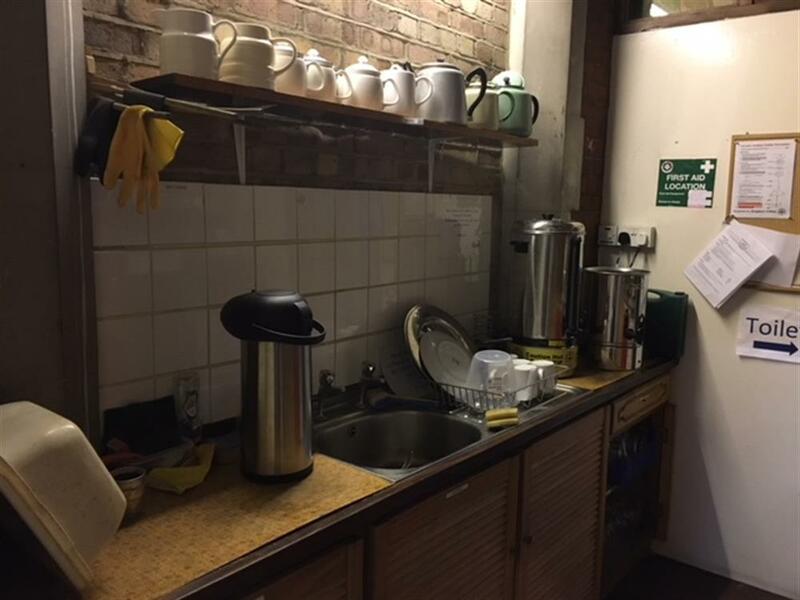 The church has 350 members in the congregation, hosts tens of local community groups and schools, but space is limited and the kitchen is a real let down for everyone. We spoke with local charities, schools, and passers by and we know they would benefit from more space to meet, have a hot tea or a hot meal. The project is led by the church with the help of local schools, nurseries, GPs and businesses of Parsons Green. 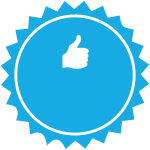 We want it to benefit as many people as possible. First group using the space ! yay! 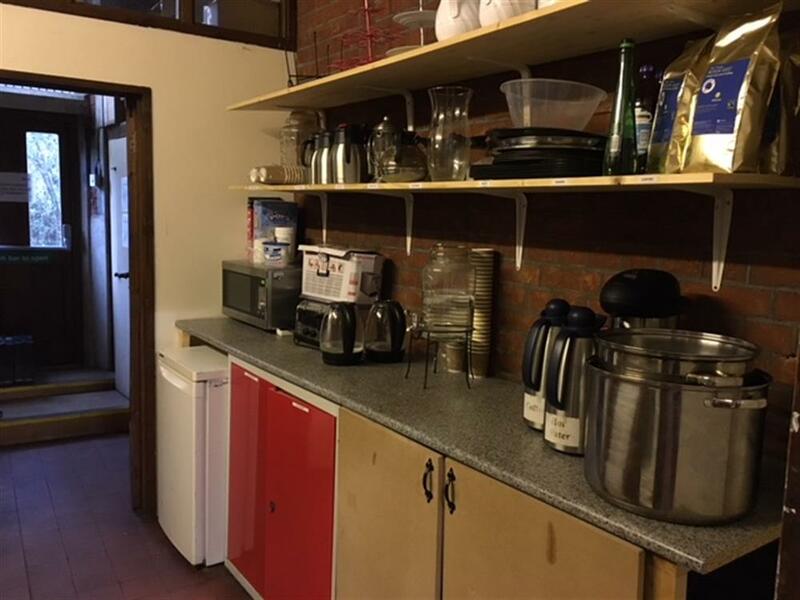 We need support with the kitchen pod. 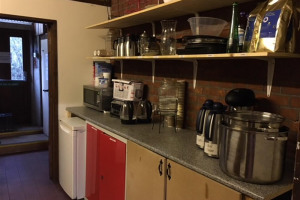 It will transform the space, and bring way more potential for the food bank, weddings, culinary classes etc... We want to create a kitchen pod with a catering kitchen and professional culinary equipment. This is the big item we really need help with! 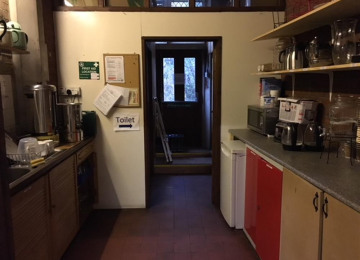 On top of the kitchen pod will also be a flexible room, which could be used for local people to meet or lead business meetings, have coffee...There's nothing like this around. We currently have no hob, no oven, just a microwave and kettles. We have created a Friends of Living Space local group, with members of the local business community, and we have our local MP interested in the project. Many local schools and shops are already fundraising for us. 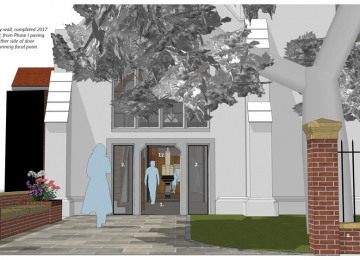 We have received planning permission from the Council, we have Faculty from the Diocese, we have architects plans and we are ready to go to tender. We are pretty much set, we just need additional funding so we can start building in October 2018. 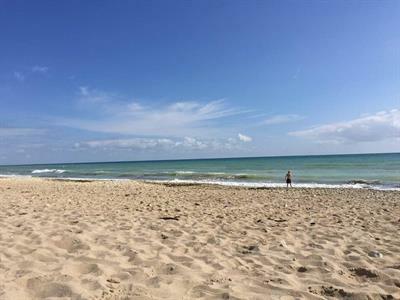 Before we all go on holidays...we need one last push! You can change the face of Parsons Green and improve the life of those around by supporting Living Space...even £2 will make a difference! We are counting on you! They are getting us one step closer to have a successful campaign... Can you match this? Go on!! 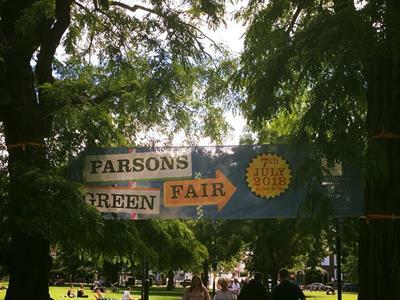 The Parsons Green Fair banners are up! Some of the proceeds from the fair will go to Living Space, so we're counting on you! 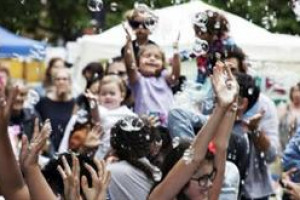 The fair will be on PG on 7July, with lots of fun, games, stalls and concerts from local schools....the community is supporting us and we are on our way! 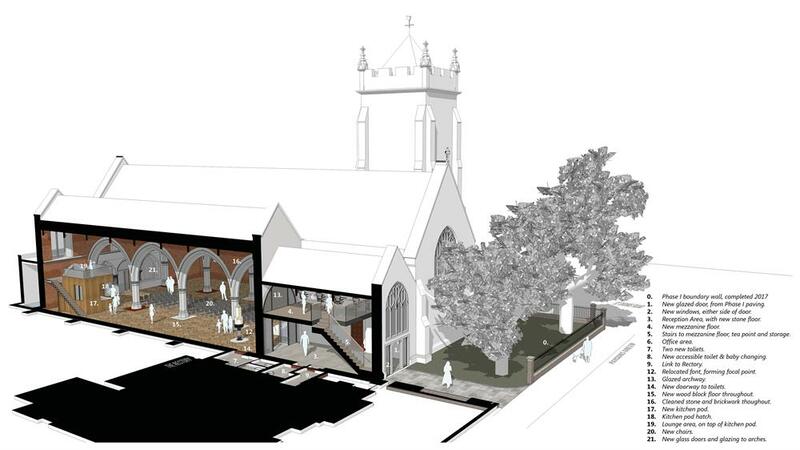 Living Space is a project led by St Dionis, the beautiful church on Parsons Green. 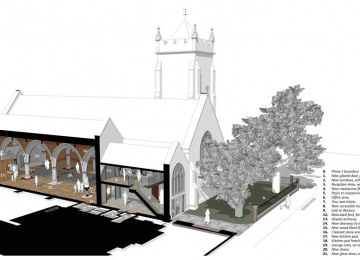 We aim at renewing and creating more community space within St Dionis. There is currently no community centre in or around Parsons Green. The Living Space project intends to fix this. We will create more space within the church and be able to welcome all members of the local community. 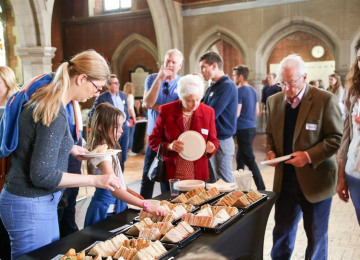 The improved and accessible facilities will help local associations and residents, and improve the life of those on Parsons Green and the surrounding area. We know there’s a clear need for it. 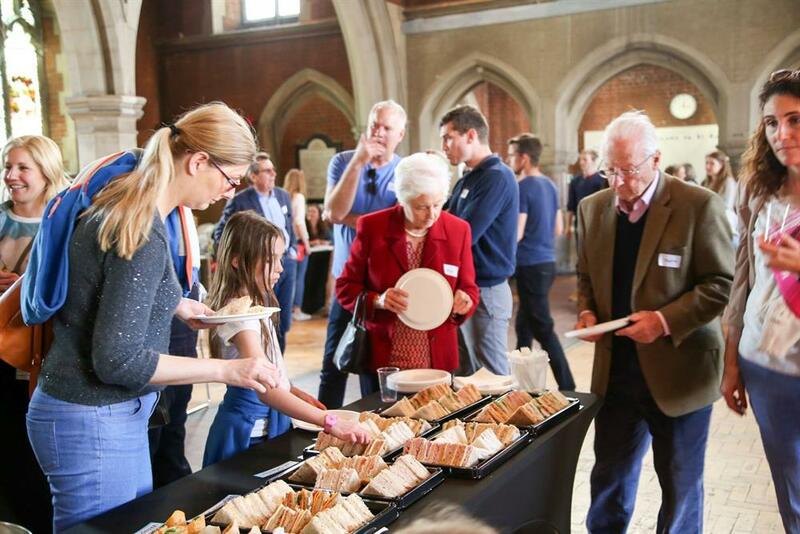 The Living Space project is led by the church with the help of a group of local businesses, schools and residents. Phase One of the work has already been completed. 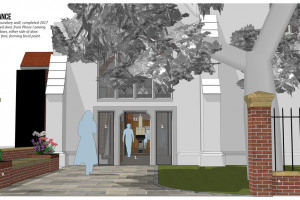 Our next phase will see improved facilities including the creation of a kitchen pod and beautiful new meeting spaces, plus a new entrance which faces the Green and tells Parsons Green that we are open! 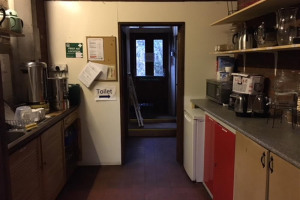 Our aim, through SpaceHive, is to raise funds for the kitchen pod. We want to create more accessible space so people can meet learn, teach, develop new skills and enjoy a quiet oasis in our fast-paced city. 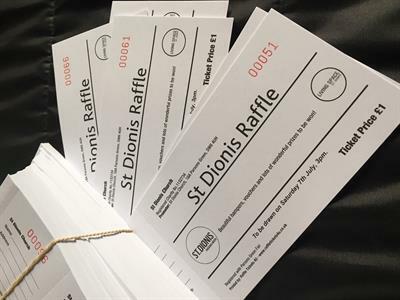 Project Delivery Manager: St Dionis Living Space The Project Delivery Manager takes legal responsibility for receiving and spending the funds raised and ensuring the project is delivered. 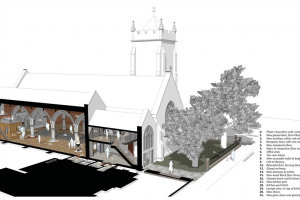 Contractor: Carden and Godfrey Architects The team responsible for building or installing the project.